ROASTING marshmallows on a fire, catching fish, horse riding through bush tracks and going to local rodeos. Somerset residents have long known about the old-fashioned nature-focused opportunities within the region, but now people overseas do too. Somerset Regional Council launched the tourism campaign, Experience Somerset, on Friday. The new guide is available both as a hard copy and online in a bid to improve visitation to the South East Queensland region. 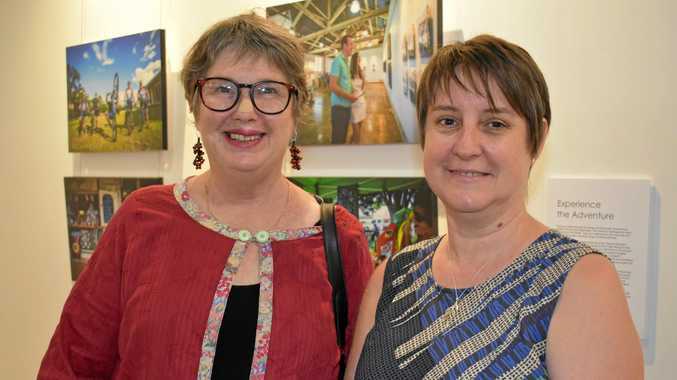 In conjunction with the tourism initiative, a photography exhibition filled the Somerset Regional Art Gallery - The Condensery, showcasing some of the photos included in the guide. Photos of horses, bucking bulls, lakes, families and friends filled the walls of the gallery, proving to all in attendance why Somerset is known as "South East Queensland's natural playground”. Many tourism operators, councillors, residents and local models who featured in the guide, showed their support at the night in celebration of the region many of them call home. Mayor Graeme Lehmann said the new guide would put the Somerset region on the map. "The images present quite a contrast to the Somerset we know and love today however it's great to appreciate the past and I'm sure tourists and residents of Somerset will appreciate the exhibition,” he said. Cr Lehmann said almost 40 models donated their time for the guide's photographs. The online guide can be accessed by visiting the Explore Somerset website and with a smart device..